You might know about our Milwaukee and Golden breweries, but did you know MillerCoors brews beer in five other cities, too? 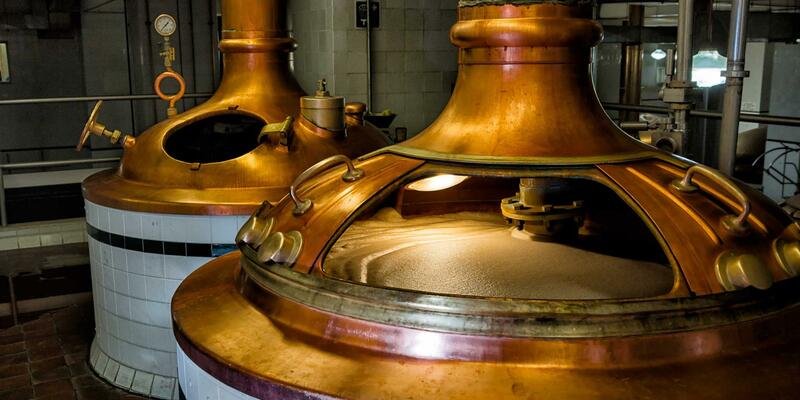 Together they make up our seven major brewing facilities. What we brew here: Miller Lite, Coors Light, Icehouse, Miller High Life, Redd’s Apple Family, Henry’s Hard Soda, Miller Genuine Draft, Steel Reserve, Keystone, Mickey’s, Milwaukee’s Best and Old English 800. What we brew here: Miller Lite, Miller High Life (Light), Miller 64, Miller Genuine Draft, Coors Lights, Lone Star (Light), Pearl Light, Mickey’s, Milwaukee’s Best (Light), Hamm’s, Coors NA, Keystone Light, Old English 800, Old Milwaukee, Stag, Steel Reserve (blackberry, spiked punch, etc. ), Fosters, Sparks, Chill, Red Dog, Schlitz, Third Shift, Redd’s Apple Ale (Strawberry, Wicked) Henry’s Hard Soda, Sparkling Water and Fortune. Pabst products are also produced under contract. As of 2017, 880 employees brew up to 10 million barrels of beer a year. An additional 600 employees work in the office. We also have a partnership with Ball Corp. to operate an end production plant and the nation’s largest aluminum can manufacturing plant, in Golden (Rocky Mountain Metal Container, 340 employees), and a partnership with Owens-Illinois to make glass bottles in nearby Wheat Ridge (Rocky Mountain Bottle Co., 250 employees). In addition, we cooperate with 150 independent barley growers in the San Luis Valley (1,281 direct and indirect jobs). What we brew here: Coors Light,Miller Lite, Miller High Life, Miller 64, Miller Genuine Draft, Mickey’s (Ice), Milwaukee’s Best (Ice), Hamm's, Keystone Light, Old English (HG), Steel Reserve, Magnum, Henry’s Blue Boar and Private Reserve. A variety of Pabst products are also produced under contract. As of 2017, nearly 800 employees brew up to 10 million barrels of beer a year. An additional 615 employees work in the office. We also operate nearby 10th Street Brewery, where we brew Leinenkugel’s and other specialty beers, and Watertown Hops Co., a hop processing facility 50 miles west. What we brew here: Miller Lite, Miller High Life, Miller Genuine Draft, Miller64, Leinenkugel’s Shandy varieties, Coors Light, Blue Moon seasonals and Redd's Apple Ale name a few. The Milwaukee Brewery is committed to achieving the certification of the Alliance for Water Stewardship Standard. What we brew here: Miller Lite, Keystone Light, Miller64, Milwaukee’s Best, Miller High Life, Miller Genuine Draft and Third Shift. The Trenton Brewery sits on 1,100 acres including 2½ acres of wetlands and more than 30 acres of managed prairie grass. In addition, more than 500 acres are used by local farmers.